Lent is the 40-day period of spiritual preparation between Ash Wednesday and Easter Sunday. It is a time when Christians focus on deepening their relationship with Jesus through prayer, study, and service. 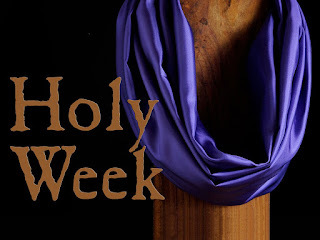 That last week of Lent is called Holy Week. 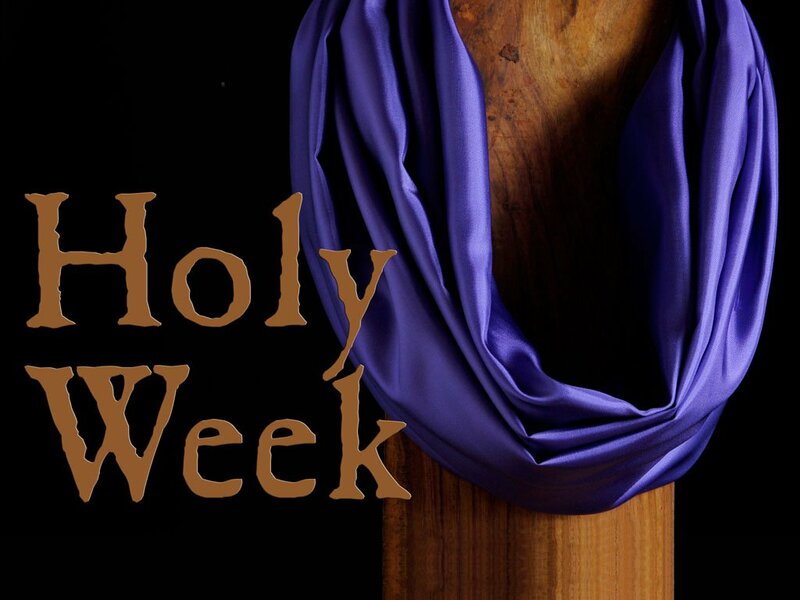 Holy Week consists of several special days that commemorate important events during Jesus' last week on earth. The Wednesday before Easter is called Spy Wednesday and commemorates the day Judas and the priest conspired to betray Jesus. Thursday is called Maundy Thursday or Holy Thursday and marks the day Jesus shared his last supper with the Disciples. We will have a special service at my Pleasant Grove UMC at 7:00 PM (Varnell UMC will join us). Friday of Holy Week is called Good Friday and recalls the day Jesus was crucified; There will be a Good Friday service at Varnell UMC at 7:00 PM and I will attend that service with members of my church. I hope you will join us for one or more of these services or choose another that is near you. Holy Week all starts one week before Easter on Palm Sunday, the day Christians commemorate Jesus’ triumphal entry into Jerusalem. We call it “Palm” Sunday in because the crowds of people waved palm branches and cheered as Jesus entered the city. “Yes,” Jesus replied. “Haven’t you ever read the Scriptures? For they say, ‘You have taught children and infants to give you praise.’” 17 Then he returned to Bethany, where he stayed overnight. That is a long passage, so lets summarize. Jesus comes to Jerusalem for the Passover celebration. He comes as a King—fulfilling the prophecy that one day Jerusalem’s Eternal King, the Messiah, would arrive riding on a donkey’s colt (Zechariah 9:9). Everyone is thrilled (well, everyone except the cynical religious establishment who felt threatened by Jesus). The crowds of people cheered as Jesus arrived—expecting Jesus to do great things as the long-awaited Messiah. Everyone wanted the Messiah to come and make Jerusalem great again. However, Jesus immediately shows His Kingdom is incompatible with many of the practices in Jerusalem. It infuriated Jesus that merchants and bankers were doing business right in the middle of the Temple at the only place Gentile’s could pray. Even worse, they were cheating their customers right there in the holy Temple. This is the only story in the Gospels where Jesus takes up arms in the name of God. He flipped over the bankers’ tables and used a whip to drive them and the merchants out. We like to think of Jesus as sweet and gentle and carrying baby lambs, but sin is not compatible with the reign of Christ. Christ must drive sin out from us and we must decide if we will let him cleanse us or will we be offended and resist and ultimately join the crowds of people on Good Friday who demanded that Jesus be crucified. Jesus entered Jerusalem that first Palm Sunday nearly 2,000 years ago, but Jesus is always coming to us in a spiritual sense. Perhaps the thought of Jesus’ coming does not thrill you. Perhaps you are ashamed of something in your life that you don’t want Jesus to see. That’s ok. That’s a good place to start. At least you are not a hypocrite. At least you recognize you are a sinner. That’s a good thing. Jesus can work with that. The Apostle Peter once felt that way. When Peter first realized Jesus was holy, he said, “Oh, Lord, please leave me—I’m such a sinful man.” (Luke 5:8) But Jesus said, “Don’t be afraid!” and invited Peter to be his disciple. Peter followed and became one of Jesus' closest companions, and eventually the leader of the Church. You can follow Jesus too. Jesus accepts you as you are when you are humble. Jesus can work with that. However, a lot of people are like the crowds cheering Jesus when he entered Jerusalem on Palm Sunday. “Praise God! Jesus is here! This is amazing!” We are so happy he has come. Yet, we must realize, Jesus has come as our King. And there are somethings we must let him change in our lives. I do not say that we must change ourselves. We can’t change ourselves. It is the Holy Spirit that changes us when we accept Jesus as our Lord, but we must be willing to be changed. Will I resist? Will I try to hide my sin in the shadows? Will I secretly plot to thwart the Lord—like Judas and the priests? Will I be proud and angry and defensive? Will I refuse to let Jesus be King—the true Lord of every area of my life? Will I join the angry protest of the crowd who ultimately rejected Jesus? “Away with him,” they yelled. “Away with him! Crucify him!” “What? Crucify your king?” Pilate asked. “We have no king but Caesar,” the leading priests shouted back. (John 19:15). Are You Ready? Jesus is Coming Again. Jesus is King. And Jesus is coming. He is coming to take back what belongs to him. You. He is coming to break every chain that has you shackled. He has come to set you free. You have a choice to make. Will you let Him?